A Lab is an ‘energy centre’ where anything can happen depending upon the needs of the people running each individual Lab and the characteristics of the building. A Lab is a non-institution. Its boundaries should be limitless. Within each Lab the space should be used in a loose, fluid, multi-purpose way. We at the Covent Garden Lab have certain philosophic attitudes to the world, and we hope to show others by word and deed that these political/philosophical attitudes can be transmitted via non-traditional political media. Every person is a medium; use it carefully! Our project focussed on the often imitated, referenced and idolised original Arts Lab. It existed in Drury Lane, London as a short-lived experimental cultural space, set up by Jim Haynes and Jack Henry Moore in Covent Garden and operational from 1967-69. Hosting a gallery, theatre, cinema, café and discussion space, Arts Lab was the first ‘process space’ of its kind in the UK and provided a model for future Arts Labs to follow around the UK. Arts Lab was used as a space to experiment with new ideas and art works, empowering audiences and participants. 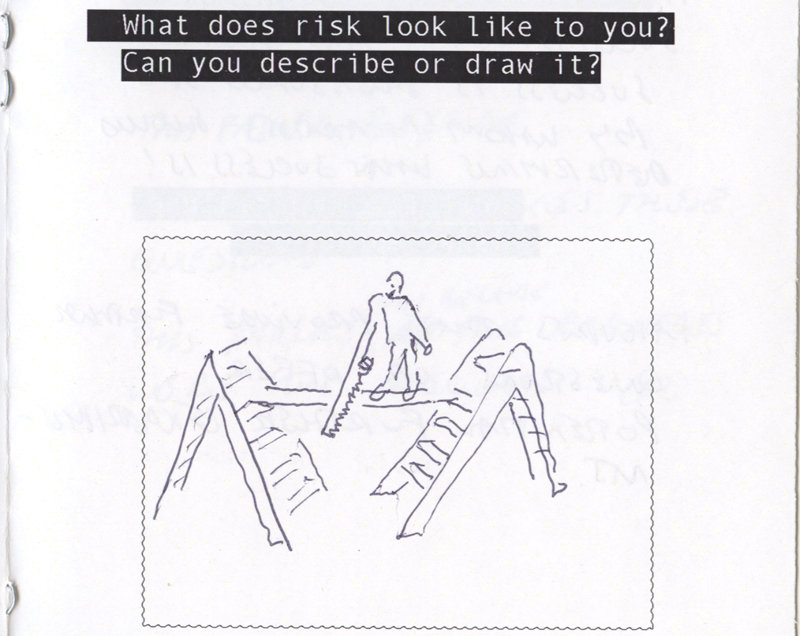 The research into Arts Lab and the ideas that it embodied and/or represented has been conducted using several methods, including desk research, exploration packs and interviews. 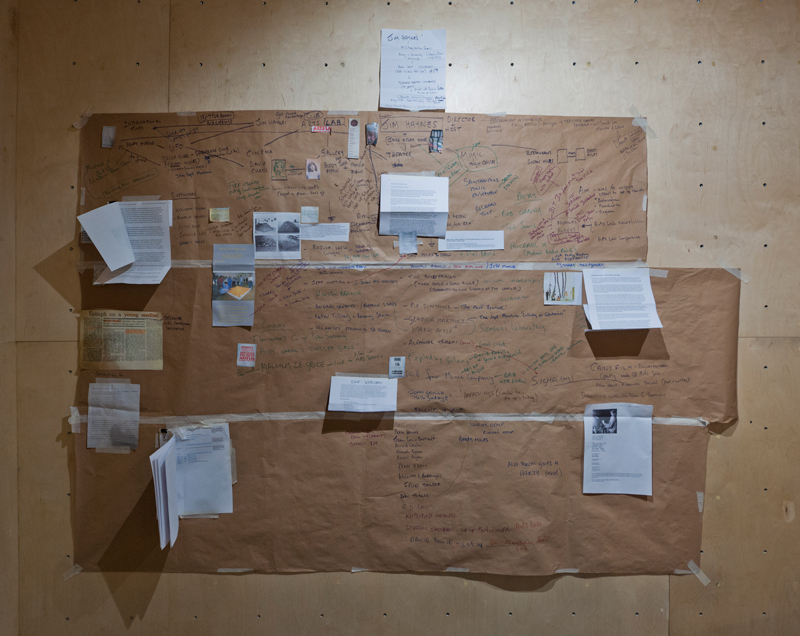 Orlagh Woods’ ‘CSI’ style mapping of evidence began to reveal connections between fragmentary archives, internet sources and printed materials. However it is interesting that, relative to most contemporary organisations, comprehensive documentation was not readily accessible. This bears no relation to the intensity or importance of the activity that took place, but instead reflected a position, almost unthinkable for most UK arts organisations today: a deliberate refusal to document its achievements and evidence its track-record, because, as David Curtis quietly explained, ‘We believed in the ephemeral’. Some evidence does exist through the careful archiving of the short-run posters, journals, letters and photographs. However, the real insight remains with the pioneering artists, organisers and cultural explorers who spent time at Drury Lane during its two year first incarnation and who volunteered to share their fascinating memories with our project. As a result, our research has centered around interviews with founders, participants and audience-members. We have tried to deconstruct some of the myths surrounding the organisation and to consider perceptions of its significance and influence. The key interviewees readily volunteered to describe their memories, to discuss their understanding of its core philosophies, and their analyses of its achievements and challenges. The interviews offered comedic anecdotes, warm recollections and, at times, poignant suggestions of regret and reminders of mortality. Through the veil of nostalgia we sought to understand why an organisation, so widely recognised, existed for such a short time and how much can defensibly be claimed for its legacy. It is interesting to explore an organisation that appears to have resonated in ways that would have been difficult (and perhaps even audacious) to predict during its lifetime. The core philosophies of Arts Lab, encapsulated provocative ideas which are widely lauded but frequently not adopted as practically implementable today: a democratic, evolving and self-determining organisational structure; completely responsive planning; a ‘Yes Policy’ enabling access to the Arts Lab stage and public platform to any and all proposals; an acceptance of failure as a valuable component of experimental work; a refusal or inability to conform to the accounting, organisational and administrative conventions necessary to achieve stable funding; fierce independence and an intrinsic belief in the value of its activities. The outcomes and the level of cultural impact actually achieved by this chaotic and amorphous organisation would certainly have vindicated an investment of the modest funding that it required to survive. Ironically, from the founders’ point of view, it was an absolute refusal to predict or define these potential outcomes, which allowed it the potential to innovate – while arguably guaranteeing its itinerancy. Today, challenged by pragmatic realism, funding structures and by the struggle to find metrics to consider the value of ideas, which we intrinsically find interesting, we appear to be more readily able to argue for the historic significance of experimental activity than for its continuing importance. The archive of responses, audio, transcriptions, photographs and other evidence focuses on Arts Lab, but also provokes challenging questions, which have contemporary resonance. Arts Lab and its story offers a provocative, utopian and poignant evidence base from which to consider structural and intellectual challenges to promoting experimentation, courage, risk and investing in activity where the outcomes are not certain in the hope that extraordinary results could occur. While ArtsLab existed in the 1960s we hope that the concluding stages of this project will encourage consideration of the intellectual and circumstantial challenges to realising similar goals today. It is interesting that we still find that the privileges of enfranchisement, sustainability, influence and platforms are often accessed through identifying tolerable roles within mainstream culture, markets and institutions. Despite Arts Lab’s rich legacy of artworks, artists’ careers and arts organisations, the idealism of half a century ago, did not lead to the wholesale change in the cultural landscape that some of the participants had expected. As we allow ourselves to explore the evidence further, it seems increasingly surprising that the parameters and restrictions of funding regimes, institutional support and governmental understanding have not evolved further to accommodate and prioritise the experimental, discursive and open-ended practice which has produced so much of the innovation that we now champion within contemporary culture.